Do you feel happier in a home full of plants? You’re not imagining it. We like to think of plants as good mood greenery. They’re proven to purify the air and promote positivity and relaxation. 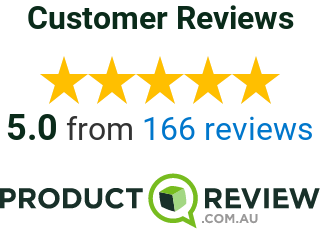 Voted as one of Australia’s best Sydney home builders by ProductReview, we can confirm they also do wonders to liven up a home. But choosing a plant that can survive within four walls can be confusing. We asked the experts at Plant Life Balance, who confirms it comes down to the climate and your home conditions. With its rich green leaves and fragrant flowers, the wax plant is beautiful. It’s native to Australia, so it’s acclimatised to our conditions. The flowers may take a while to bloom, but when they do, they’ll add a pop of pink or white colour to the room. For the best results, place the plant in a well-lit indoor location (like near a window), and water it once every few weeks. We also suggest potting the plant in a hanging basket so the leaves can trail below. Also known as the ‘mistletoe cactus,’ this plant is an unusual succulent. Rather than calling a dry, arid desert home, it has evolved to grow in the tropical jungles of South America. The lush plant thrives in well-lit areas with an average to high humidity, making it a great choice for kitchens and bathrooms. It also does well under artificial lighting, so don’t worry if your home or office has less natural light than you’d like. The jungle cactus has hanging stems, and it looks best in a hanging basket. Mist it regularly if it’s in a dry environment, such as near a heater in winter. This low-maintenance plant has a few names: Swiss cheese, split leaf philodendron and the Mexican breadfruit. It’s very popular in the plant world right now – and not just because of its gorgeous, dark green leaves and distinctive holes. Hailing from the tropics, the fruit salad plant loves humidity and natural light, so it’ll even work in your bathroom. But you’ll want to think big. When it’s happy and healthy, the plant can grow to be huge – making it a stunning statement plant. Found in the subtropical climes of Central and South America, the begonia isn’t a fan of cold weather. The plant is delicate by nature, and grows best in well-lit indoor locations. Its smooth, multi-coloured leaves make for great foliage, and pale pink flowers sprout up during the springtime. The begonia doesn’t like being saturated, so let the potting mix dry out completely between each watering. If you like the look of a bushier plant, pinch the tips and prune the outer stems while it’s growing. Don’t have a ton of space? Check out the radiator plant, a cute, compact houseplant that will add a flush of colour and foliage to the smallest of spaces. It has glossy, round leaves with yellow variegations. This just means the leaves are both green and yellow. The radiator plant likes medium -to well-lit spaces, and since the leaves have that lightness, we recommend it to those who want to brighten up a darker room. It’s easy to care for, and only needs water every 7-10 days. If you have a black thumb, the dragon tree won’t hold it against you. It’s one of the easiest houseplants to grow, and it bounces back from neglect quickly. Native to Madagascar, the plant has slender stems topped with shiny, sword-shaped leaves. The deep green leaves have reddish edges, and do best in bright- to medium-light. They can survive in partial shade too, but they’ll grow a little slower and produce smaller leaves. You may need to prune it if it’s getting too bushy, but other than that, just water it once a month. Sometimes called the snake plant, this houseplant is striking, with thick, textured leaves and yellow veins. Fun fact: the structural plant is a distant relative of asparagus, which explains its tall, spiky leaves. It’s also low-maintenance. It blossoms in low-light areas, and only needs watering once a month. In fact, if you overwater it, especially during winter, the roots will rot. Mother-in-law’s tongue releases oxygen overnight, and looks great on a windowsill or table. This plant is virtually indestructible. It doesn’t need too much love, and will survive in low light and low humidity, with less-than-regular watering. It’s not bothered by heat, either. Often called the ballroom plant, the lush, leafy plant has broad, green leaves that can grow up to 50 cm long. Interestingly, it’s a member of the lily family, so if you look closely at the foliage, you might spot small purple flowers. Go to Plant Life Balance’s website for advice from green-thumbed gardeners around Australia, and to learn more about the benefits of plants. Their app allows you to take a photo of your home and get an instant health and wellness rating. The team at Better Built Homes is here to help too. For more inspiration, browse our home designs.